I have really enjoyed forming a partnership with Maped Helix over the last 2 years. Read about our partnership with this interview with Gray Richmond, the UK Managing Director. 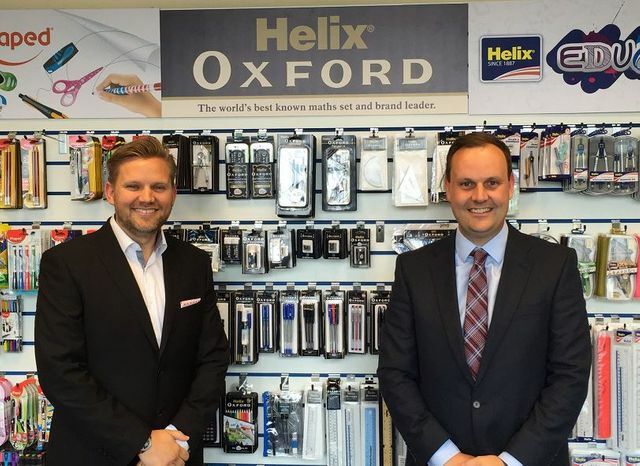 Helix has been established for nearly 130 years, but over the last four years, there has been a period of substantial change, both through a recent acquisition and through a program of strategic growth. Over the last 2 years of this period, Collingwood has been proud to work with Helix as their preferred Executive Search Consultancy partner. Collingwood has assisted Helix’s Executive team to appoint a Head of Supply Chain, a Key Account Manager and most recently we helped Helix acquire the talents of Gray Richmond, who joined the business in December 2015 as UK Managing Director.